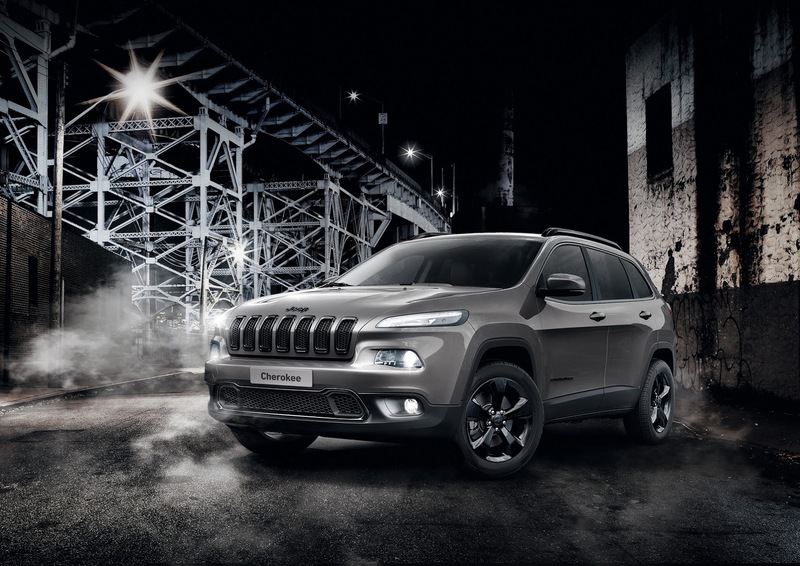 The ‘Night Eagle’ special editions of the Cherokee & Renegade SUVs are based on the Longitude mid trim level and feature black styling cues as well as rather audacious personalities. 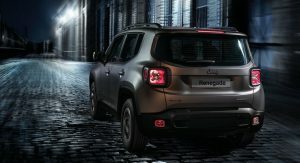 The Renegade Night Eagle already had a pretty unique style, and now thanks to the satin-finished gray elements (Jeep badge, fog light frames, roof bars) as well as the exclusive 17″ black alloys, it genuinely looks more interesting than standard spec models. 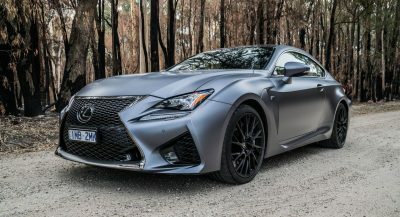 The special edition version also introduces a new Volcano Sand matte paintwork, complementing the other four available colors: Carbon Black, Alpine White, Glacier Silver and Solar Yellow. 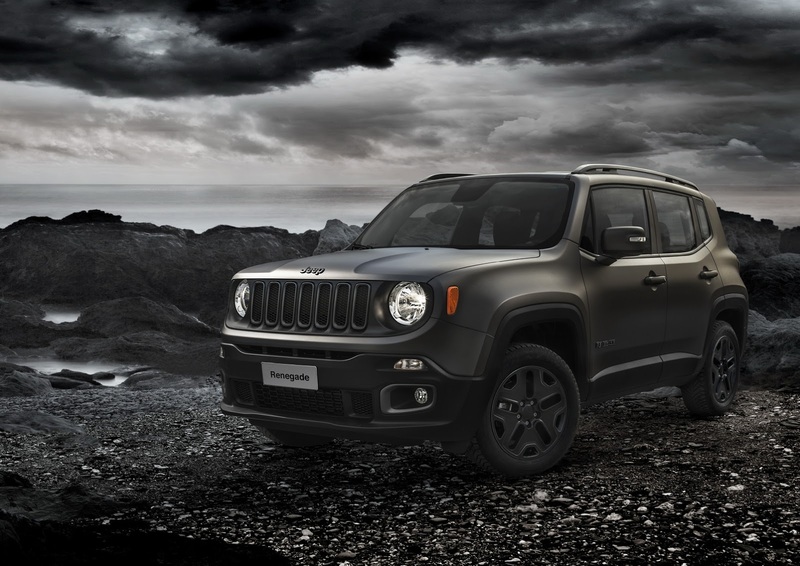 Jeep brought a Volcano Sand-liveried Renegade Night Eagle to Frankfurt, sporting a 2.0 liter 140 HP diesel engine, working together with a 6-speed manual transmission and the Active Drive 4×4 system. 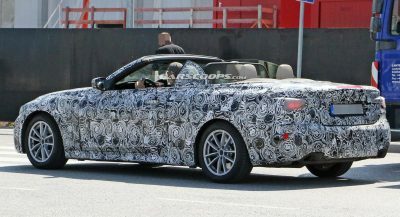 Inside, you’ll find a leather steering wheel, exclusive fabric seats with electric lumbar adjustment for the driver, UConnect with 5″ screen, manual climate control, 3.5″ TFT instrument panel, cruise control and rear parking sensors. 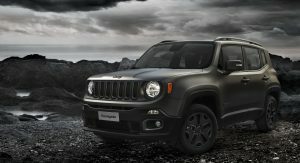 The Renegade Night Eagle can also be configured with either a 120 HP or a 140 HP 2.0 liter Multijet engine, a 120 HP 1.6 liter Multijet engine or a 140 HP 1.4 liter Multijet engine – depending on the market. 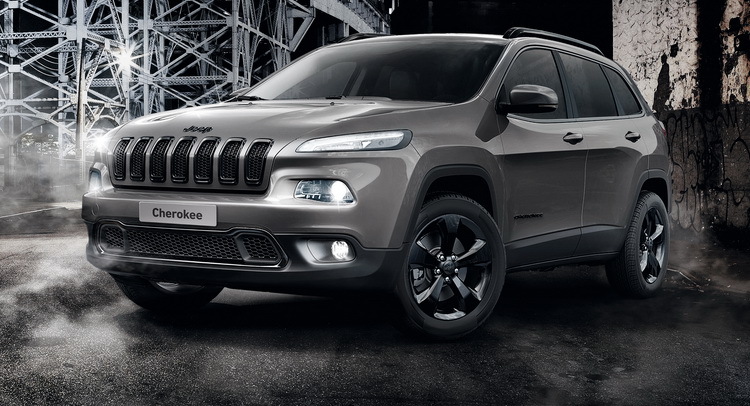 The same styling cues pretty much apply to the Cherokee Night Eagle, except that this one comes with 18″ alloys and different colors such as Black, White, Billet Silver and Granite Crystal. 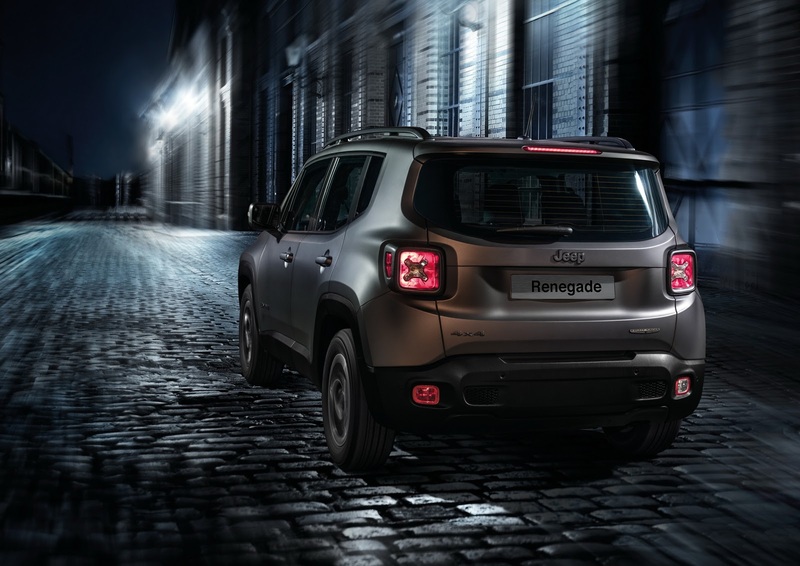 Inside, there’s an 8.4″ UConnect sat-nav system with 9 speakers and a subwoofer, plus leather steering wheel, two-zone climate control, electric tailgate and rear parking sensors. 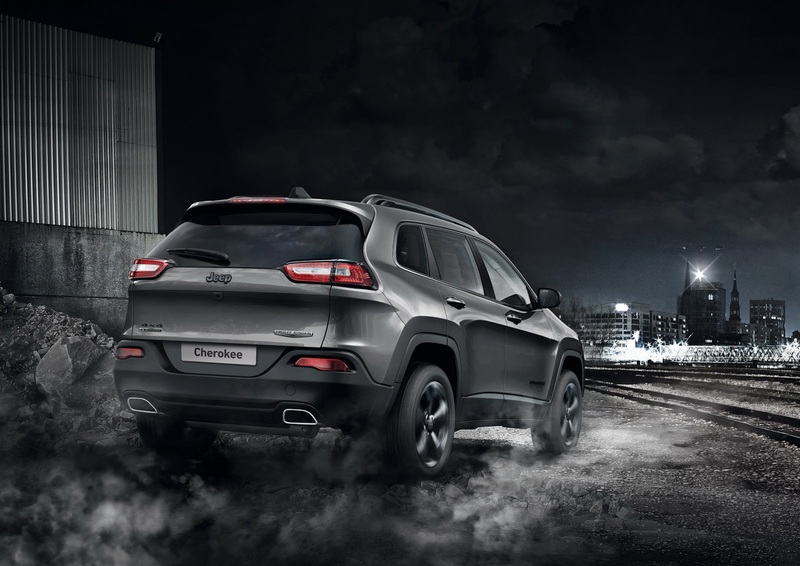 Under the hood you’ll find the new 2.2 liter MultiJet II turbo diesel engine, good for 185 HP or 200 HP (depending on the market). 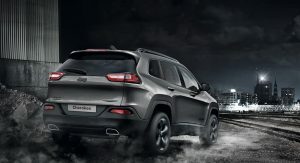 The Billet Silver model show in Frankfurt is the 200 HP version and it comes with bi-xenon headlights, front & rear parking sensors, UConnect sat-nav, automatic headlights, rain sensing wipers, leather seats, leather steering wheel, two-zone climate control, power liftgate and power folding mirrors. 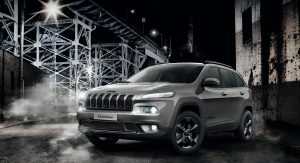 Sales will start this year, with Jeep to build a limited number of Night Eagle special edition models.